We’re on that final stretch to Christmas now, dig deep and keep going! 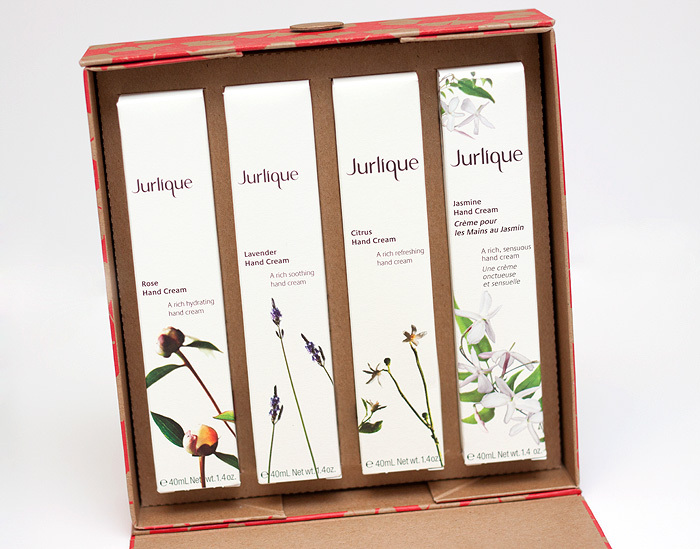 Today’s prize is a set of FOUR delightful Jurlique Hand Creams in: Rose, Jasmine, Lavender and Citrus. If these don’t keep your cuticles happy this Winter, I don’t know what will! Want to win Jurlique Hand Care Essentials gift set, worth £48?! Which plant on the Jurlique ingredient’s page is known for producing fruits with the highest Vitamin C content in the plant kingdom? 5. Competition closes on Tuesday 22nd December 2011 at 23.59 GMT.